It seems that the word “courage” has been coming up lately in my every day discussions and especially when asked about the Kili Climb for Life. I have not really considered that this personal initiative requires courage. Dedication, yes. Commitment, yes, especially during those not-so-fun workouts and struggling through the resulting aches and pains when I have pushed myself too hard. But courage ??? Hmmmm….. Many years ago at my godson’s christening, I wished him ‘courage’ to pursue his dreams, to step out of the “norm” and to live life fully. I haven’t thought about the word much since then. However, I am starting to hear courage raised now more in terms of fear. 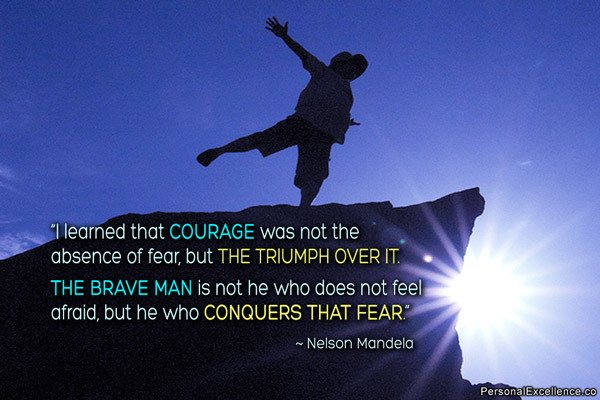 “What courage you must have to overcome your fears.” Once again I have to pause and think about this. Truly, I am quite excited about the climb and very keen to see new sights and encounter new people and experience another culture (I hope!). Yet one of my greatest desires is actually to see a lion up close. I so admire the strength and confidence of lions. Lions are also a symbol from my childhood whether it’s the familiar sight of The Lions (twin peaks on the North Shore Mountains) or the pair of concrete lions that grace the entrance to the Lions Gate Bridge or even the BC Lions football team. It’s been a lifelong dream to see a lion in nature just as much as summiting Kilimanjaro – and to possibly accomplish both in the next few months would truly be a dream come true. To say there isn’t some fear, though, would not be honest. I have encountered altitude issues in the past and then, of course, a very close call with pulmonary embolism. Admittedly, there is still a panic deep inside when I get winded from a hard workout and can’t breathe. It throws me back into that period when I truly could not breathe and was rushed to the hospital. It made me realize what my mother and others with lung disease go through as the ability to get a good deep breath of air is compromised. My mother would have panic reactions as she could not get her breath. I remember myself one night camping enroute to Everest base camp when I could not get my breath and my chest was literally rattling. (I had heard that expression before but did not know what it meant.) I was frightened and then realized that that is what Mother goes through every day in struggling for her breath. It has made this commitment to the Kili climb even more important and made me realize truly that – as I say in most of my writing now – “for those with lung disease, everyday living is like climbing a mountain”. It has always been my hope to meet Nelson Mandela, a person I have admired so much, and yet it is sadly ironic that he is now gravely ill with a persistent lung condition. I realize that I will only know him through his writings now….and throughout this week, the following words – his words – have truly hit home. ← What a journey it’s been — already !! !